The Catalan Sheepdog is a herding breed that is most often used with sheep, but it can also work with cattle, horses and other livestock. During the Spanish Civil War they were coopted as military dogs, working as dispatchers and locating wounded soldiers. It is believed that the Catalan Sheepdog has existed since at least the 18th century in northeastern Spain. 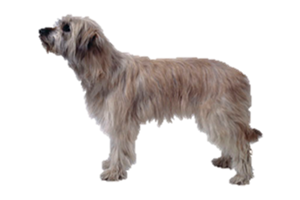 This breed is likely a close relative to the Pyrenean Shepherd, possibly descending from the same root stock. There was once a short coated variety from the hotter, lowland districts, although it is likely extinct and most kennel clubs no longer have them listed in the breed standard. Is the Catalan Sheepdog Right for You?